A heady air of anticipation brooded over the front rows of the W Hotel’s Great Room in Bangkok where the chefs, draped in red scarves, sat anxiously awaiting their number. 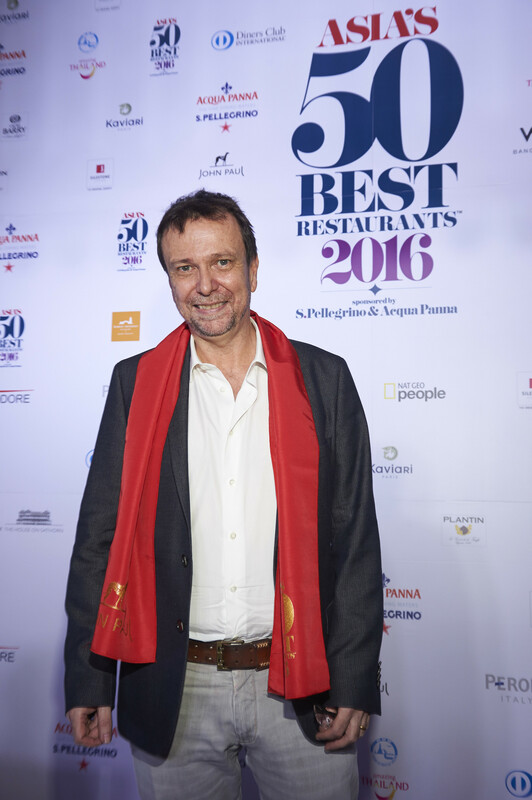 As Asia's 50 Best Restaurants by S.Pellegrino & Acqua Panna awards unfurled, the chefs stood and took their bows, enjoying a genuine camraderie and joviality amongst their peers that was the most apparent aspect of the celebrations. The true joy these chefs find in each others’ achievements is the icing on the cake for this hard working industry that demands long hours and hard toil from those that manage to build their careers to reach the lofty heights of a spot in the top 50. 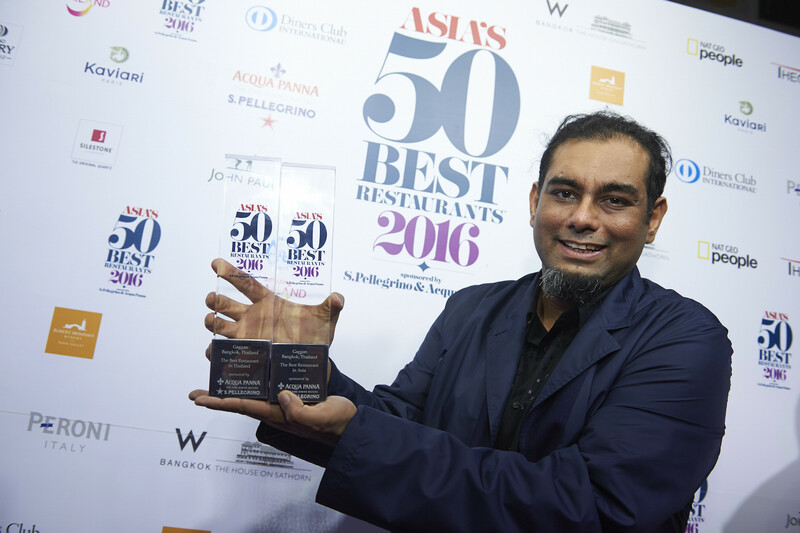 With the awards on his home turf this year, Gaggan took the number one spot for the second consecutive year with his modern take on traditional Indian cuisine at his eponymous Bangkok restaurant. Gaggan said simply “Winning at home is sweetest” and spent the rest of the evening with a memorable grin immovable from his delighted face. With 13 nations represented, the 2016 list includes restaurants from more countries than ever before, with China leading the charge with 13 restaurants. 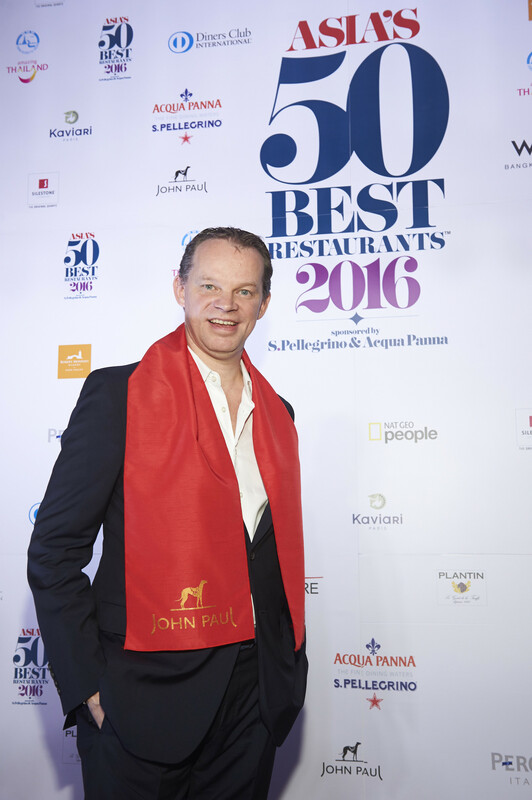 Hong Kong secured nine entries on the list, with Amber (No.4) reclaiming the title of The Best Restaurant in China (from Shanghai double winner on the night Paul Pairet of Ultraviolet (No.7) and Mr & Mrs Bund(No.28)), placing stalwarts such as Lung King Heen (No.10), 8 ½ Otto E Mezzo Bombana (No.13) and The Chairman (No.27), Tenku RyuGin (No.33) and Fook Lam Moon(No.34), L’Atelier de Joel Robuchon (No.40), Bo Innovation (No.41) and chef Hideaki Sato’s Ta Vie at The Pottinger in Central debuting on the Asia's 50 Best List at No.48. 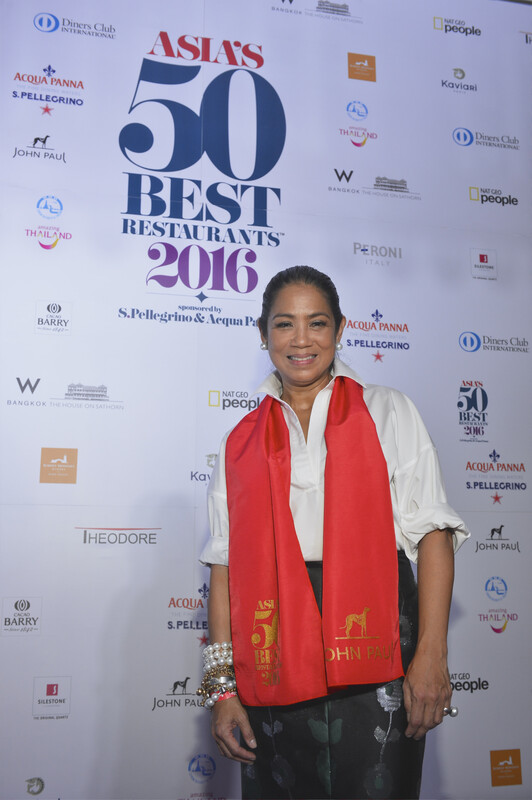 Other honourees include Chef Margarita Forés from the Philippines who was named Asia’s Best Female Chef 2016. Of the honour, Margarita said, “It’s been only seven weeks and it has already changed quite a bit. So much weight comes with the award, I feel that moving forward there is a lot of responsibility. It allows me a larger platform to continue to push for the things I feel strongly about and one of the most important would be to push the cuisine and culture of the Philippines forward. There’s always been a quiet plan (to expand) Cibo to expand to other parts of Asia and that’s something I can look into now. 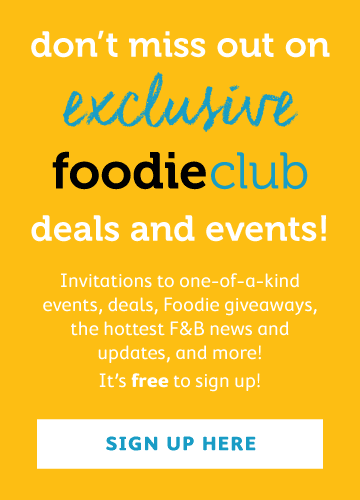 Knowing there are a lot more people in the region who have heard about what we do and it’s also an opportune time to do a philippines restaurant abroad and I’m thinkging where, in italy or another part of asia but I think that its now a dream that’s a bit more realistic. 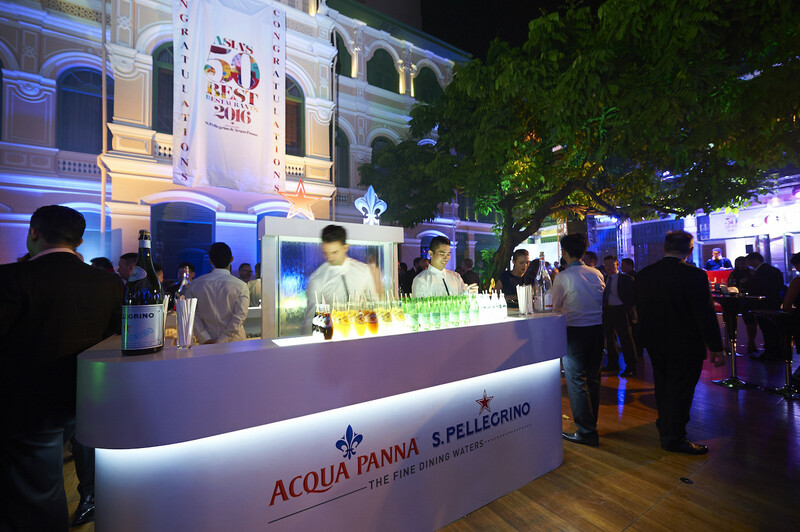 S.Pellegrino and Acqua Panna are a major sponsor and the official water partner to Asia's 50 Best Restaurants 2016. How has the Asia 50 best awards evolved over the years? Over the past four years, the Asia’s 50 Best Restaurants Awards have echoed the growth and exciting variety of Asia’s dining scene, showcasing the best dining experiences in this part of the world. We have been the main sponsors of Asia’s 50 Best Restaurants Awards since it was established in 2013, and strongly believed from the beginning that Asia deserved its own awards to reward both creativity and culinary excellence. What are the reasons Sanpellegrino initially agreed to sponsor these particular awards? We consider Asia’s culinary scene very important and thought it was ready to capture food enthusiasts’ attention at an international level. Therefore, we were proud to support the World’s 50 Best Restaurants in turning the spotlight on Asia, reaffirming the devotion of S.Pellegrino and Acqua Panna to spreading of the art of fine dining across the globe. How do you feel Hong Kong’s dining scene specifically has evolved over the years? I think that what has happened in the last five years is absolutely incredible: Hong Kong is now one of the favourite dining destinations in Asia and the overall quality of the gastronomic offer is outstanding. And Asia’s as a whole? Frankly, I think that the arrival of the 50 Best Restaurants Awards in Asia has helped to create a broad and well-developed chefs’ community that did not exist before. While at the Asia’s 50 Best Restaurant Awards in Bangkok, it was great to see a team of winners in the Best Chef categories really interacting together and promoting Asia as a unique excellent destination for food lovers!